MARK J. GROSS, DDS has been practicing cosmetic and family dentistry since he graduated from the Columbia University School of Dental and Oral Surgery in 1980. In 1981, he completed a residency in general dentistry at The Mount Sinai Hospital. He was then appointed to the medical center’s attending staff and in 1983, became coordinator (with Dr. Kaplan) of the Department of Dentistry. Several years later, Dr. Gross left Mount Sinai in order to spend more time in his practice. 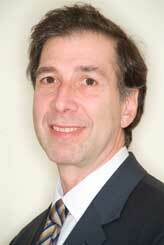 He was appointed director of Gramercy Park Health Associates, a medical/dental group practice. A resident of the West Side, Dr. Gross is married with three children. He loves to travel and enjoys tennis and skiing.Dr. Gross has developed an international patient base, coordinating his schedule to accommodate patients with tight traveling schedules. Working together with staff specialists and with Danny, the in-house ceramist, Dr. Gross can usually coordinate his treatments with his patients’ timetables. When booking an appointment from out of town, please make sure to speak to Dr. Gross directly. ANDREW S. KAPLAN, DMD received his dental degree from the Tufts University School of Dental Medicine in 1980, and has worked as a general dentist ever since. After completing a residency in general dentistry at The Mount Sinai Hospital, he became coordinator of the Department of Dentistry, a position he held for 13 years. He also was a co-founder of the medical center’s Dental Phobia Clinic and was Director of the Temporomandibular Disorders/Facial Pain Clinic. Dr. Kaplan is an associate clinical professor of the Mount Sinai School of Medicine and an associate attending professor of The Mount Sinai Hospital. He has also held faculty positions at the New York University College of Dentistry, the Columbia University School of Dental and Oral Surgery, and the Tufts University School of Dental Medicine.Dr. 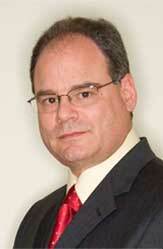 Kaplan is a past president of the American Academy of Orofacial Pain. He is also a diplomate of the American Board of Orofacial Pain. He is widely published and has authored several books on Orofacial Pain and Temporomandibular Disorders. Many physicians and other dentists refer their TMJ, headache and facial pain patients to Dr. Kaplan. Dr. Kaplan is married, has three children and lives in Scarsdale, New York. He enjoys travel, tennis and golf.